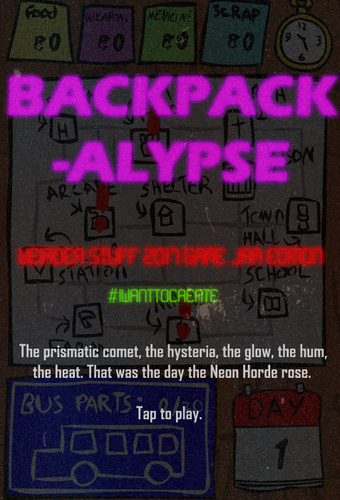 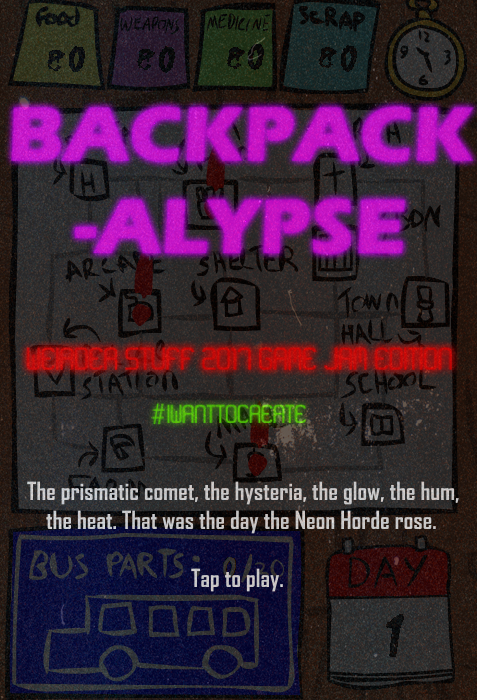 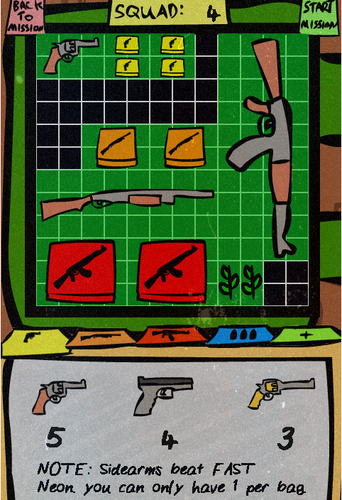 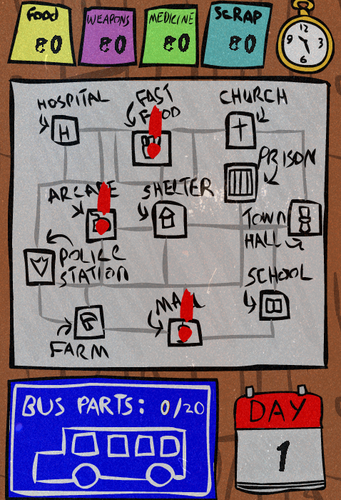 Created for the Clickteam Weirder Stuff 2017 Jam, Backpackalypse is Resident Evil 4’s ‘inventory Tetris’ in a 'Papers Please’ style organisation and maintenance Sim set in an 80's Paranomal themed undead apocalypse. 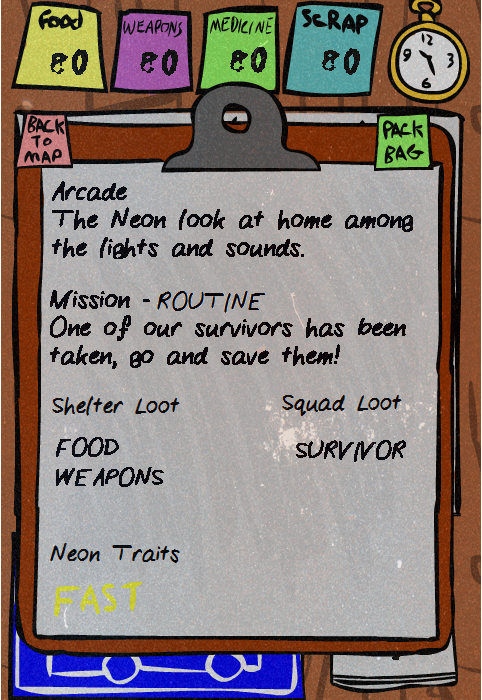 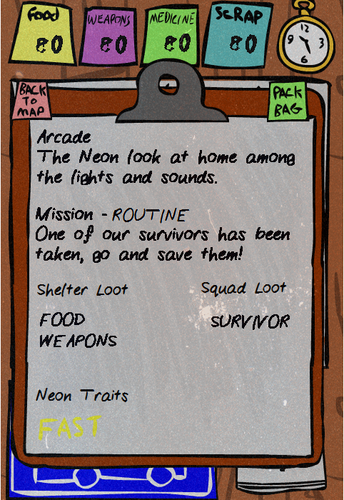 Figure out what supplies your shelter needs, equip your squad members inventories, painstakingly fitting in as many items that will help them as possible, and send them out to face the Horde. Just download the EXE and run it to play!